2016-05-24 ON EURO-VISION 2016 UKRAINE BECAME A WINNER. ON EURO-VISION 2016 UKRAINE BECAME A WINNER. NEXT EURO VISION WILL BE CONDUCTED IN UKRAINE NEXT YEAR. IN ACCORDANCE OF COMPETITION'S RULES NEXT EURO VISION MUST BE CONDUCTED IN A COUNTRY SINGER OF WHICH WON PREVIOUS COMPETITION. CONSEQUENTLY, EURO-VISION 2017 WILL BE IN UKRAINE. 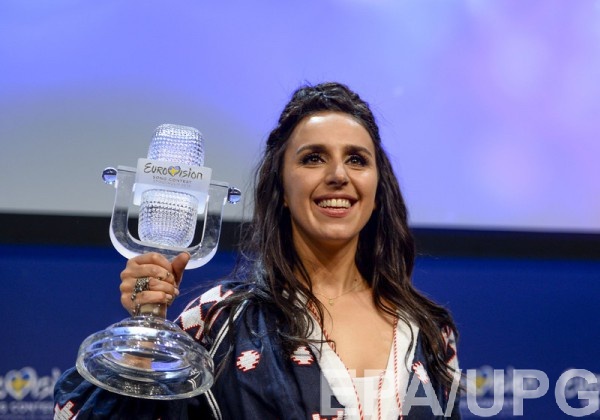 In the final of music competition "Euro-Vision 2016" which was conducted in Stockholm, Ukrainian singer Jamala was a winner and she represented Ukraine. She sing a song named "1944" and she got 534 votes. Second place took singer from Australia Demy Im with song "Sound Of Silence" which got 511 votes. By words of Norwegian producer Jon Ola Sand, Difficult situation in Ukraine will not disturb to Ukraine to provide safety to participators of Euro-vision 2017. Sand declared it in eve of Sunday night the 15th of May in Stockholm applying to winner of music competition to singer Jamala as DW informed. "I am sure that You are and citizens of Ukraine will show hospitality and warm attitude to all guests and will provide our safety"